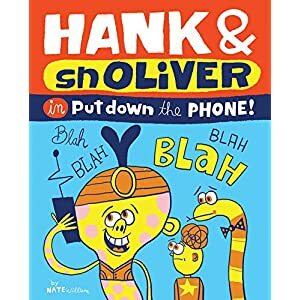 Hank & Snoliver – Put Down the Phone! Title: Hank & Snoliver – Put Down the Phone! “It’s amazing what comes alive when you put down your phone and pick up on what’s around you,” Hank and snOliver explain in Nate Williams’s children’s book, Hank & Snoliver – Put Down the Phone! This unnumbered thirty-two page paperback targets children four to twelve years old, especially those that like books about a boy and his pet snake. 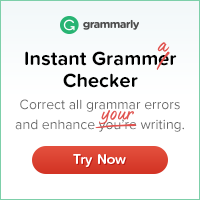 Containing simple sentence structures, the book’s multi-syllable words may be more complicated for beginner readers. The strange capitalization of the snake’s name of snOliver may be confusing to some readers. Author and illustrator Williams has a passion for inspiring creativity with his artwork. Having clients from Cartoon Network, the North Face, and Converse Shoes to name a few, he currently resides in Utah when not visiting Argentina. With no profanity or scary scenes, colorful cartoon drawings with mainly white backgrounds grace the full pages with whimsical designs of a boy and his quirky snake. The black wording is easy to decipher in a childlike font. This short tale continues the adventures of a boy named Hank and a yellow and orange bowtie-wearing snake called snOliver. This time the two friends are in Bubble Gum Meadow and find a magic bottle. Suddenly a genie pops out of it and states he will make their wishes come true. Hank and snOliver wish for a hot air balloon, but the magician immediately gets interrupted by a phone call. While the genie is on the phone, he erroneously grants them a bowl of delicious prunes followed by a baboon, a bird’s nest, and a swordfish. The two have to scream to get the genie’s undivided attention. When the genie puts down the phone as their wish, he finally hears, feels, smells, and sees how much he has missed around him. The ending includes a detachable postcard depicting Hank and snOliver on one side and instructions to draw the worst time to talking on the phone on the other side so it can be mailed to someone always talking on a phone. To say the least, this is a perfect reminder for both children and adults to get off the phone and interact with others or merely observe the world around them. Kudos to Williams for being so direct and to the point regarding something that is so obvious to some. Thanks to Bookpleasures, Gibbs Smith, and the author for furnishing this complimentary book in exchange for a review based on the reader’s honest opinions. This review will be posted on Bookpleasures and Amazon with links on Bookfun.org, Godinterest, LinkedIn, and Pinterest.